Fatima and Samiullah have been friends since childhood – even though his family is Pashtun and own the land that Fatima’s Hazara family and friends farm. When Sami returns from the madrassa a young man, Fatima realizes they’ve both grown. But neither realizes just how much trouble trying to keep their friendship alive will cause. Sami’s cousin discovers their secret meetings and triggers a swirl of events that brings in the local Taliban, violence, dishonor, and death. The relationship between Fatima and Samiullah is pretty cute and I appreciate that it builds on their childhood friendship rather than on a fleeting glance or an instant connection. They have a bit of a Romeo and Juliet thing going which bumps up the sparks. But there are things that happen that make it difficult to give a higher score. The relationship springs from real respect and love, but they’re forced into a decision that is rooted in a very unromantic cultural situation. Again, it is really difficult to give a score for this. Fatima herself is awesome and I love her determination to live the life she wants. But, there are so many things stacked against her socially and within her family that I can’t give it anything higher. Fatima studies and cherishes her reading lessons from her best friend’s grandmother. The small part that the grandmother plays is important because she shows what life could be like and encourages Fatima to dream of a life more than the farming, wife-ing, and mothering that is her likely future. But, when her family finds out that Fatima and Samiullah have been meeting and he’s interested in marrying her, things rapidly go downhill. Horrible things happen, and one of the worst parts is her mother’s behavior. 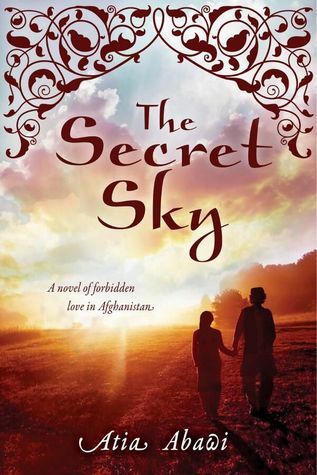 This book is set in Afghanistan with Muslim characters, one family is very poor and the other is wealthy. In many ways it’s winning in the representation field. But, the Taliban comes into the story and things just go downhill. I’m really excited to see more international characters with stories giving us a fuller picture of the world. But, I’m a little concerned that we’re falling into the “one story problem” with young girls from South Asia. I know these are important stories, but they’re also the only stories we see in the news and mainstream media. I’d love to see something counter to the mainstream stories. That being said, I know that the authors do struggle with their decision to write these stories – Aisha Saeed has talked at length about her fear of writing her forced marriage book, Written in the Stars, because she didn’t want to be providing another negative story. It just illustrates our need for greater breadth of representation for all groups. The writing in this book in beautiful and I think Abawi captures the people and landscape beautifully. I really liked Fatima and her determination to carve her own path. I liked the alternating point of view and that, while the story is centered on Fatima and Samiullah, Rashid gets a lot more depth as the story proceeds. It’s also great to see characters redeemed, though it’s a rather sad redemption. I would still recommend this book, but I’d emphasize that it continues the narrative of Afghanistan that is most prevalent in the media. Fatima – because she’s determined and hopeful and optimistic even when the situation is terrible. I know this is kind of a depressing line, but it struck me because it is so true for some mothers everywhere. Sometimes they forget that they are bringing people into the world and not beings to maneuver. Atia Abawi has worked as a foreign correspondent for CNN in Afghanistan, Israel, and many other countries. Her work experiences inspired this story. Like No Other by Una LaMarche for another couple fighting cultural and social expectations to be together or Beneath My Mother’s Feet by Amjed Qamar for another South-Asian girl fighting cultural norms to fulfill her dreams. Great review! I hadn’t heard of this one. I do like that it’s a diverse novel, but it would be nice to have stories from this part of the world that don’t all sound the same. I love the way you break down your thoughts- it really helps get a bigger picture of the novel. Agreed. My disappointment that it’s another story about mistreatment of girls/women is offset by the fact that it’s written by an Afghan-American. But, I wonder if publishing is gatekeeping a lot of the stories so that only these kind get through….